When the Swiss government published a report on the country’s energy strategy for 2050 that included minimal strategies to increase renewables despite phasing out nuclear, Greenpeace Switzerland saw an opportunity to engage the public in an alternative solution. In collaboration with a web development company, Greenpeace Switzerland launched a game called Solar Maker, in German and in French, that allows users to measure rooftops across the country for their solar potential. The picture below shows a screen shot from the game. Roof sides colored red have a solar high potential, orange good, and roof sides that are blue indicate a north orientation, and are not used for the calculation. With a click on an analyzed roof, users access key information, like the solar surface, the potential in kilowatt hours (kWh) — or households supplied — and peak power from the solar panels. Since launching less than three months ago, the game has attracted 1,400 players demonstrating solar potential of almost six billion kWh from the country’s rooftops. The solar potential mapped so far can produce almost as much energy as two of Switzerland’s five nuclear plants. Greenpeace Switzerland can attribute part of Solar Maker’s instant uptake to its very public launch. Targeting a new business complex in Zurich that was built without any solar panels, Greenpeace activists scaled one of the buildings, Ernst & Young, releasing banners announcing the building could be a power plant, if it adopted solar. For now, Greenpeace Switzerland says the missions are just for fun but later in the campaign they’ll get political, calling on players to show targeted government ministers how much solar energy their native villages could produce, followed by direct outreach to the minister asking if they’ll support solar. While it’s still early for results, Martin says the game is demonstrating the potential for crowd-sourcing solutions through games, and that Swiss people care and want to see renewable energy on the public agenda. The game’s website clearly states that Solar Maker has a political objective. “Highlight as many roofs and help us to demonstrate the huge potential of solar energy. 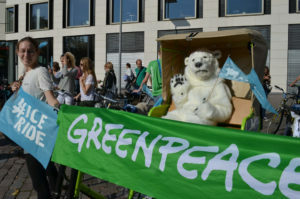 The more people who participate, the stronger the signal Greenpeace contributes to politics,” states the site. In addition, Greenpeace Switzerland has prepared information materials to help educate players on the potential for solar, including fact sheets answering critical questions like what happens when the sun is not shining, and a cost calculator to calculate the costs of solar uptake in detail. Martin says Greenpeace Switzerland is also exploring possibilities for online to offline mobilisation. He says the game has a low barrier to entry, not requiring users to provide much personal information to play, but they’ve learned from the web development company that users are estimated to be mostly young people under 35. One challenge they’re noticing, is players aren’t sharing their solar mapping results widely on Facebook or Twitter, despite share options for a player’s results built into the game, and automatic e-mails asking players to spread the Swiss energy revolution. Greenpeace Switzerland is also working with its developers to discover the possibilities of replicating the technology and game for other countries, as they see massive potential and scalability for Solar Maker. Organizations interested in Solar Maker can contact Greenpeace Switzerland campaign director for climate and energy Kaspar Schuler for more information. UPDATE: Solar Maker won gold in the Innovation category at the Best of Swiss Web 2013 awards ceremony. Do you have an innovation in mobilisation and people-powered campaigns? 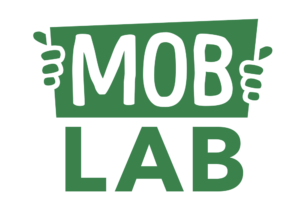 Share it with Mob Lab.